Alter has announced preorder for the normal release version of the Hattori Hanzo from the Hyakka-Ryoran series. 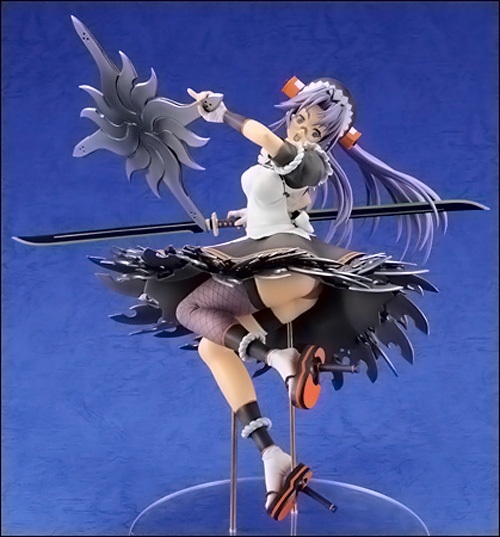 She is scheduled for release in January 2010 and will be retailing for 9,240 yen. Interested folks can place your preorders with Hobby Search, Hobby Link Japan or Jlist. The only different from this version and the mail-in exclusive [Hobby Japan Ver.] would be the dual sword which is not seen in the photo above.